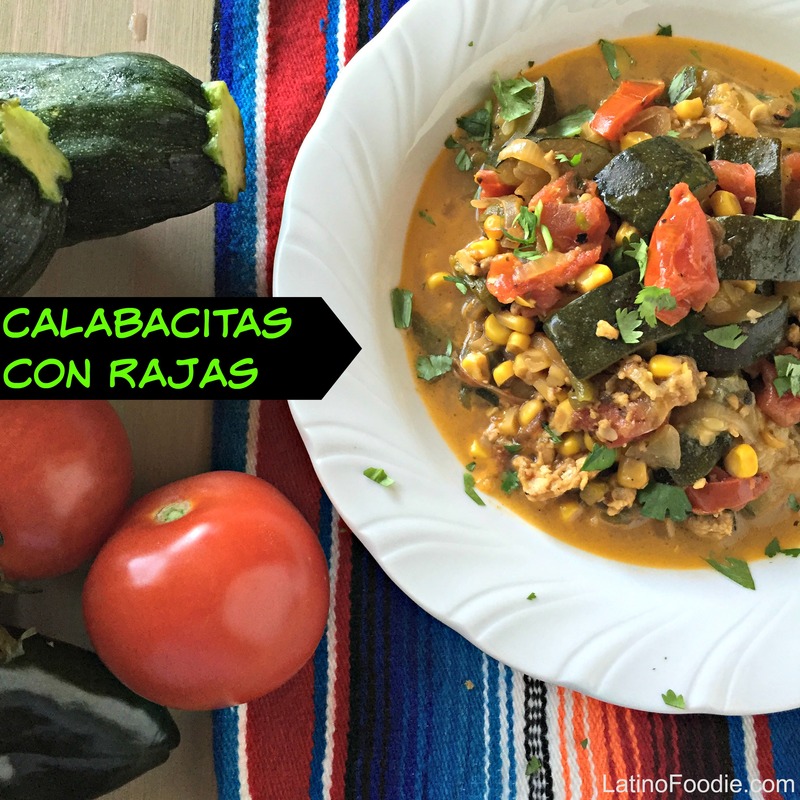 Calabacitas are a traditional Mexican dish that has grown in popularity throughout the Southwest and embraces the warm flavors of zucchini, corn, and melted cheese. 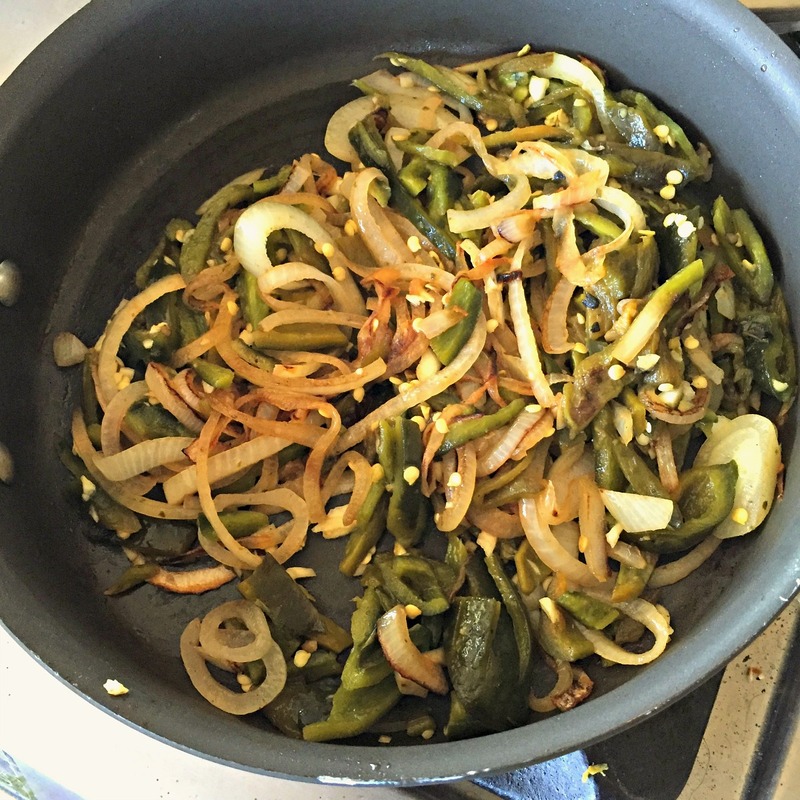 Over the summer, Art and I traveled through Arizona, and New Mexico and I tasted many dishes with roasted poblano peppers or rajas. 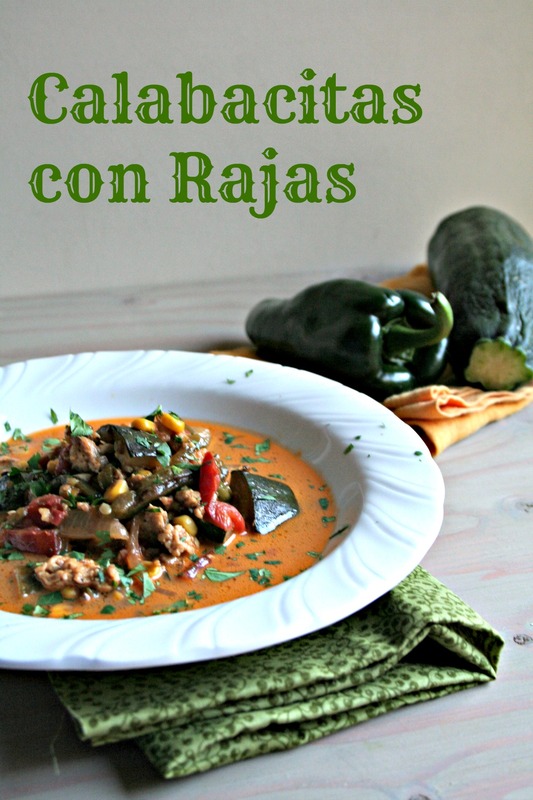 Rajas are green chiles with onions sauteed in some fat — vegetable or olive oil, butter, even pork lard. 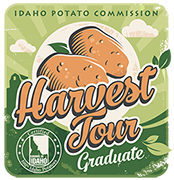 It was a flavor profile that I thought would be a perfect marriage with the squash. And, boy was I right! The rajas added a new depth to the vegetable dish. In a large and deep frying pan over medium-high heat, add the butter. Once the butter melts, add the white onions and sauté for about 3 minutes. Add the garlic, poblano peppers and corn. Continue to cook the mixture for another five minutes, adding salt, pepper, and dried oregano. Cook for another 5 minutes. Add the zucchini and tomatoes and chicken broth. Allow to simmer for about 10 minutes. Crumble the queso fresco on top of the calabacitas and serve.